Nestlé inaugurated its new coffee manufacturing facility in Vietnam in July 2013. The new facility is equipped with modern coffee processing technology. The Dong Nai plant created 1,300 jobs during its construction. Royal HaskoningDHV Vietnam provided EPCM services for the project. 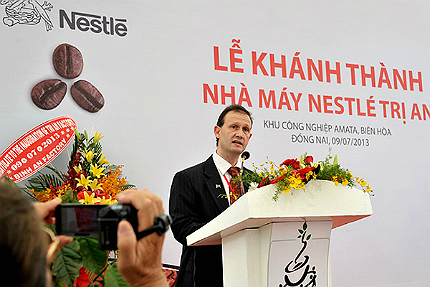 Nestlé inaugurated a new coffee manufacturing facility in Vietnam in July 2013. The new plant is located at the Amata Industrial Zone of Bien Hoa Dong Nai province in Vietnam. Construction of the facility was commenced in August 2011. 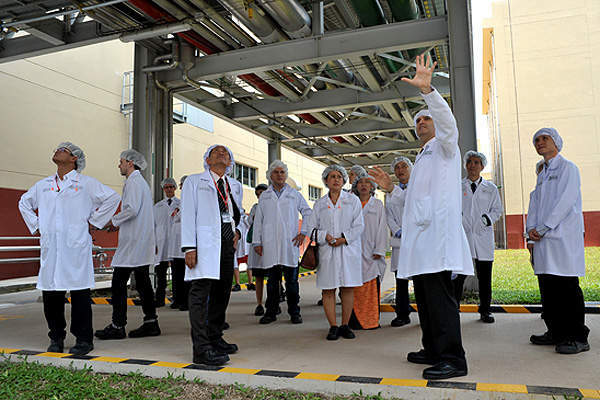 The facility is owned and operated by Nestlé Vietnam, a unit of Nestlé. The product range of Nestlé Vietnam includes Nescafé, La Vie, Milo, Maggi, Lactogen, Nan and Cerelac. Nestlé invested CHF230m ($248m) in the new coffee plant. The plant received a Gold Trophy in Nestlé Global Safety award competition of 2012. The project created about 1,300 direct and indirect jobs during construction and will employ about 2,000 people for operations. "The facility is owned and operated by Nestlé Vietnam, a unit of Nestlé." The Dong Nai plant is the largest coffee factory in Vietnam. It was constructed to meet the demand for Nescafé soluble coffee products. The products manufactured by the facility will be exported to other countries as well as sold in domestic markets. The plant site covers an area of 11ha and comprises of 20 production and utility buildings. It was built as part of Nescafé’s global project, known as Nescafé Plan. The plan, which was initiated in Vietnam in August 2011, aims to enhance Nestlé’s commitment towards farming, production and consumption of coffee. 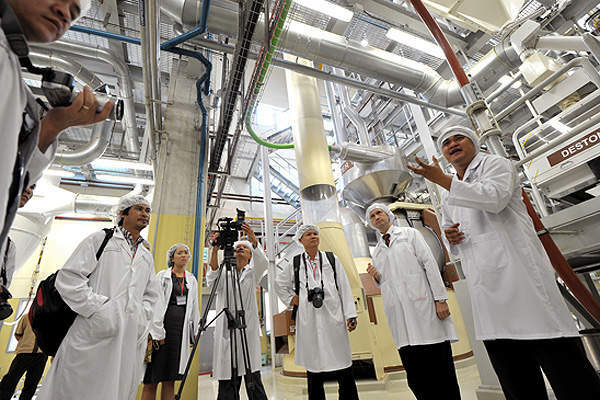 The new Nestlé coffee factory in Vietnam is expected to produce 32,500t of soluble coffee per year. The facility is equipped with modern coffee processing technology and equipment to reduce energy and water usage. Royal HaskoningDHV Vietnam (RHV) provided engineering, procurement, construction management (EPCM) services and served as a consultant for the new plant. Nestlé intiated the Nescafé Plan in Augut 2010, to invest up to CHF500m ($536.13m) in coffee projects by 2020. The plan includes a set of global objectives which will help the company further increase the coffee supply chain, increase the direct purchasing of products and provide technical assistance for coffee farmers. "The Dong Nai plant is the largest coffee factory in Vietnam." The co-operative has already invested CHF200m ($214.4m) in the coffee industry in the past few decades to improve its production capacity all over the world. Nestlé Vietnam trained 19,600 coffee farmers in 2012 and aims to further train 20,000 Vietnamese coffee farmers in the next five years, as part of the Nescafé Plan. The Rainforest Alliance, Sustainable Agriculture Network (SAN) and 4C, a coffee association, support the Nescafé Plan to meet the desired goals. Nestlé is also participating in a public-private partnership (PPP) project with the Vietnamese Ministry of Agriculture and Rural Development to improve coffee productivity in Vietnam. The project will provide better farming practices, high yield and disease resistant plantlets for the Vietnamese coffee industry. The main objective of the PPP project is to make Vietnam a global hub for Robusta coffee. 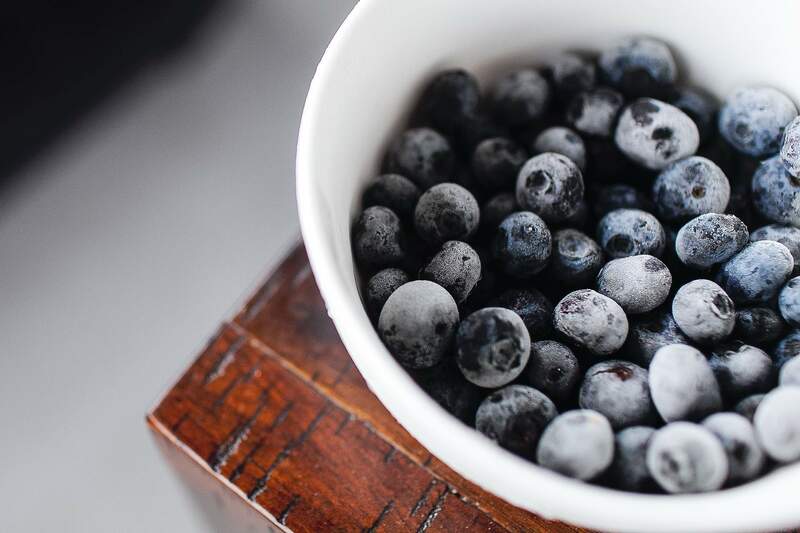 Nestlé has also signed a Memorandum of Understanding (MoU) with the Institute of Agricultural Sciences Highland Forestry to focus on replanting coffee trees in Vietnam. 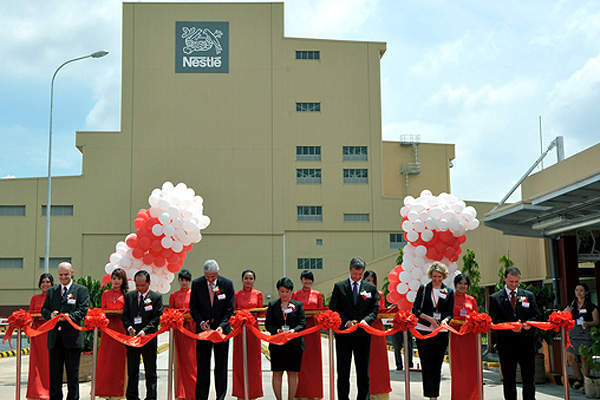 Nestlé Vietnam, established in 1995, currently operates five factories and two distribution centres in the country. The co-operative has provided employment for more than 1,500 people in 2012. It has increased its investment in Vietnam from $25m in 1995 to $450m by 2012. Nestlé Vietnam will significantly increase the amount of coffee purchased directly from farmers and farmers’ associations in the next five years. It aims to buy 30,000t of coffee from around 16,000 farmers each year. The company also expects to increase the distribution of coffee by two million coffee seedlings. Beverage giant Nestlé will open a new Nespresso production facility at Romont, a town in Fribourg, Switzerland. Nestlé Deutschland, the German subsidiary of the Swiss food group Nestlé, officially broke ground on a Nescafé Dolce Gusto plant in Germany in May 2013.